VIENNA, Virginia: If your IT business has H-1B employees or if your business (irrespective of the field) routinely relies on services of H-1B contractors, the IT consulting landscape will change for the worse with the new immigration reform passage, and could impact your business, unless you act now. As part of the comprehensive immigration reform proposed in the Senate and now being considered by the House the new bill contains restrictive provisions on outsourcing of H-1B workers, which would essentially prohibit companies that are H-1B dependent to contract for the services or placement of their H-1B employees to another company work site. Because a significant number of IT staff augmentation companies are considered H-1B dependent, they will no longer be able to provide support to other US businesses by contracting for IT and other services that provide critical assistance to small and medium US businesses, which cannot afford in-house IT or other specialized staff. By the numbers: Indian immigration to the United States Senator Orrin Hatch (R-Utah) has been advancing the interests of the high tech community and trying to improve the bills H-1B provisions in general; however, he has been faced with significant resistance from other interests. Outsourcing is an after effect of Globalization that America championed for years. It is going to happen one way or the other but it is better to have US companies (whose employees pay federal and state taxes) providing outsourcing support to US businesses, than to rely on off-shore companies for the same purpose. If the new immigration reform tries to control IT outsourcing within the US, then the pace of external outsourcing will increase, meaning more US IT jobs would be shipped to India and other countries as a result of US lawmakers action and lack of vision. We need to wake them up to these facts now, before it is too late. Else, more jobs will go abroad and less tax dollars will benefit our country. Indian IT firms on a lobbying spree on Capitol Hill IT work is the business of US IT companies, not dealing with immigration laws and government. They need the support of intermediary IT staff augmentation companies whose job is to make sure the necessary work force is available for the IT jobs to be done in the US itself. If the government tries to cut that life source for the IT business here, they will either die or go abroad where these IT employees can he hired without having to worry about visas. It would also be less practical for small and medium US businesses to deal with offshore companies than with US businesses that are usually within their time zone and can provide them with IT support within the United States. Controlling outsourcing may result in a prohibitive increase of the salaries of IT workers here, which will hurt small and medium US business that are consumers of those services. This is the very basic supply and demand theory. IT salaries are already way too prohibitive for small companies to hire such employees. The government should not be in the business of inflating those salaries by controlling local IT outsourcing. Without your voice being heard and without someone showing them how these restrictions will hurt US companies, Congress will vote and make it our law. Failure of immigration bill in House is good news for legal immigrants IT workers are mostly required for short time periods. The client companies cannot afford to hire them and keep them forever. The consulting companies can bring them here, and make sure they are employed, by sending them to assignments that may be short term but that are vital for US client companies. That way companies can focus on their business, and the IT employees will have constant work, supporting a variety of small and medium US businesses. The basic premise of the reform is we need more IT workers here, so we are increasing the H-1B quota (allowing more visas to be issued). That is commendable and we support the increase of the quota, which removes the uncertainty for all businesses that want to employ H-1B workers. A recent random drawing/lottery that was conducted in early April by the US government to select which H-1B cases will be selected for processing were detrimental for any serious business planning and make a mockery of our highly-skilled visa system. However, if you study the use pattern of H-1Bs, a significant percent is used by IT staff augmentation consulting companies now, not the end customers. If we increase the quota numbers that would discourage staff augmentation companies to do H-1B filings (by restricting their ability to contract for the work of their employees), the H-1B visa numbers will not be used enough. So, that way we are not solving the problem of IT worker shortage. Then why are we increasing the number in the first place? It is like increasing the catchment area for a hydroelectric power plant, and then decreasing the number of generators that really produces electricity. The production will go down, not up. We need to show them these facts now; else it will be too late. The IT boom of the late 1990s was a result of easy access to IT workers at relatively affordable costs of such services. That was facilitated by the IT staffing companies, without whom the outsourcing to India might have started 10 years ago. We need to create a scenario like that where more IT workers will come into the US, so that more IT jobs will remain here. IT staffing companies are so critical in this mission, if you want to see any meaningful use of the H-1B quota increase. 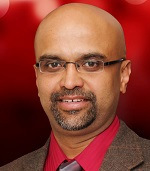 (Vinson Xavier Palathingal is the Vice President of Amaram Technology, based in Virginia. He can be reached at vinson@amaram.com).